With the introduction of the Automatic Reference Counting (ARC) in iOS 5, memory handling has became much simpler. 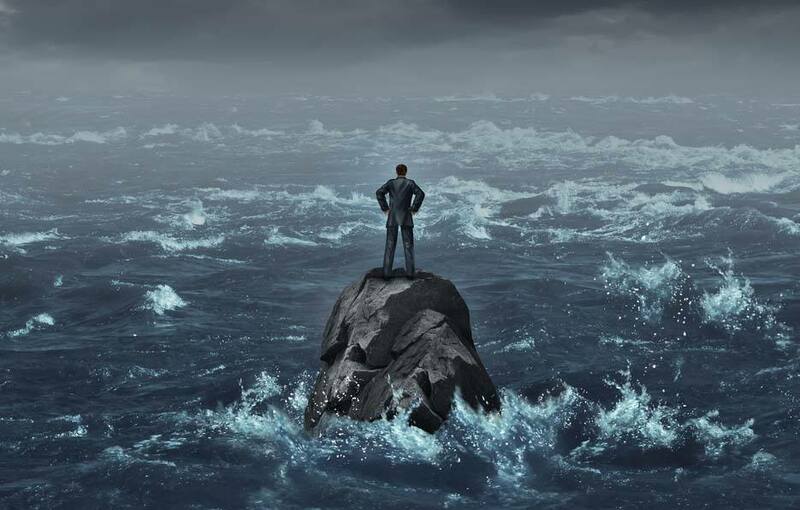 But ARC can not handle all scenarios, so it is still important for you to take care of the memory handling of your apps. For example, it is possible to have so-called retain cycles. So it could happen that for example your view controllers are not deallocated although there are no accessible reference to them in the app anymore. If this happens, the memory usage of the app is increasing every time the view controller is presented. And if this happens too often, the app will be closed by the operating system – the app crashes. 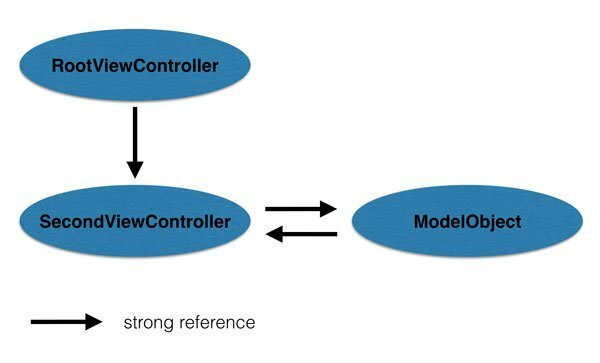 The RootViewController doesn’t have a strong reference to the SecondViewController anymore. 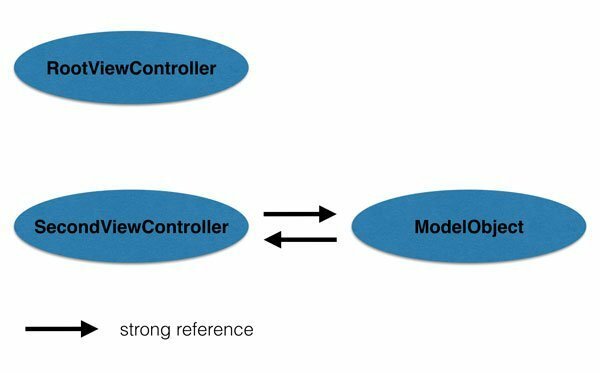 However, the SecondViewController and the ModelObject have strong references to each other. And because of this they are not deallocated. If we dismiss the SecondViewController, there are no log messages in the debugger! That means they are not deallocated, so something is going wrong. 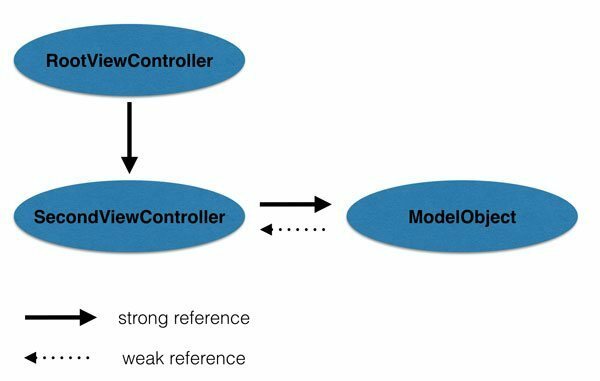 Because there is just one strong reference between the SecondViewController and the ModelObject, we expect that there will be no problems anymore. This is the behaviour we’ve expected.